In 2006 the Tsumkwe settlement was identified as the site for a proposed solar-diesel hybrid energy plant, at the time the largest of its kind in southern Africa. 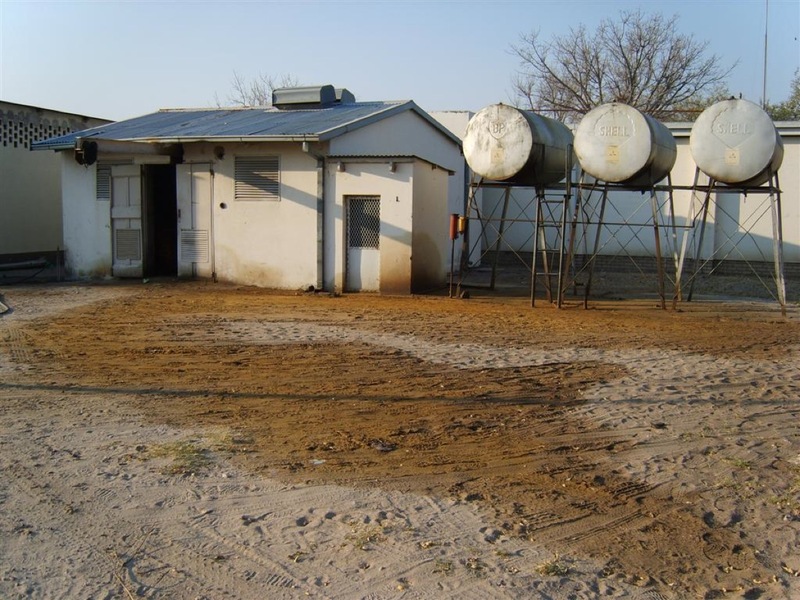 The settlement of Tsumkwe is located in the Otjozondjupa Region, north-eastern Namibia, about 300 km east of Grootfontein and 735 km from Windhoek. Approximately 3,800 individuals live in Tsumkwe. A majority of the population is San. Additionally, the vast majority of surrounding villages are San, relying on Tsumkwe for social services such as education, medical care and law enforcement. The San are widely considered to be the most marginalized and vulnerable tribal group in Namibia. Tsumkwe is also home to members of various other Namibian ethnic groups. In total, there are an estimated 250 households and homesteads within the settlement. Tsumkwe also serves as a supply outpost, providing basic goods and fuel services to the surrounding 37 villages within the constituency, and to travelers passing through on their way to or from Grootfontein. Tsumkwe was established as a military post prior to Namibia’s Independence in the area formerly known as Bushmanland. The South African military introduced basic infrastructure in Tsumkwe of which the most notable is a medium voltage mini-grid supplied with electricity from diesel generators. The Namibian government has established schools, a clinic, police station and other essential services in Tsumkwe. The Otjozondjupa Regional Council (OTRC) assumed political control of Tsumkwe after the establishment of the Regional Government of Namibia in 2003 and continued to use the mini-grid as Tsumkwe’s primary source of electricity. The OTRC maintained, managed, and operated the electricity production system. However, due to the high cost of diesel fuel, electricity supply was limited to 12 – 14 hours per day, and in addition most residents of Tsumkwe could not afford the cost reflective tariff of N$ 6.00 per kWh. The OTRC heavily subsidized the tariff, only charging residents N$ 0.52 per kWh and institutions to pay N$ 2.50 per kWh. This made the electricity affordable to many of the poverty stricken Tsumkwe residents, however the subsidized tariff resulted in an annual deficit of N$ 1.2 million to the OTRC. In order to minimize the dependency on diesel for electricity generation and ensure uninterrupted and stable power supply, the Tsumkwe Energy Project established a 202 kWp solar PV array with 766 kWh battery storage capacity. Furthermore the project repaired, up-graded and expanded the current 11 kV mini-grid and initiated mechanisms for access to alternative thermal fuels (such as LPG) and energy efficient appliances. The direct beneficiaries are over 100 households, 20 different institutions and several small businesses. Tsumkwe Energy not only implemented technical improvements, but also investigated what additional economic opportunities that can be pursued under improved energy supply conditions. This is a vital strategy to ensure that Tsumkwe can reach a level of economic prosperity that will support the financial sustainability of the hybrid system. For this reason a sustained social behavior change component was implemented.